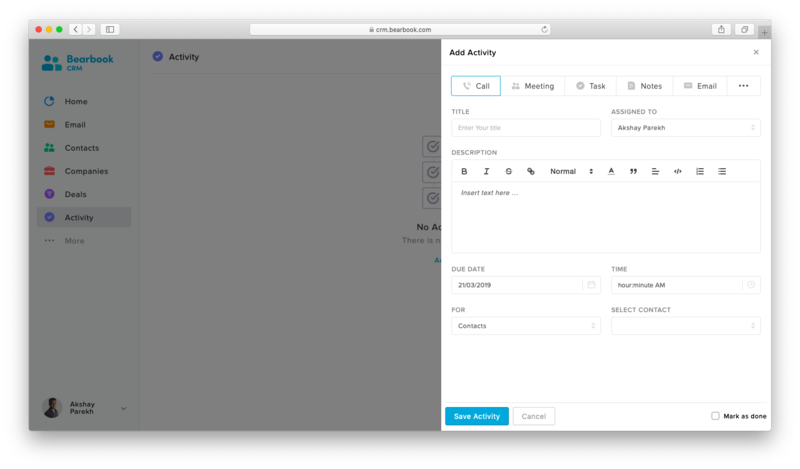 Activity in Bearbook is an essential and productive way to manage tasks and appointments.In Bearbook, a user will manage their daily or future tasks and business appointments as an activity to increase productivity in work. 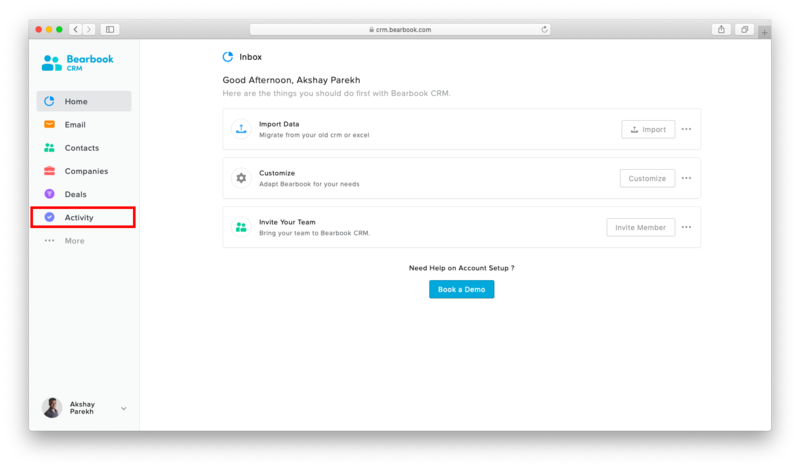 An activity in Bearbook is a feature that helps users to add or manage their work routines to make successful business deals. Sign in to your Bearbook account and click on the Activity button. Click on New Activity button. fill the form as per your business needs that appear on the screen. Click 'Save Activity' button when you're finished. 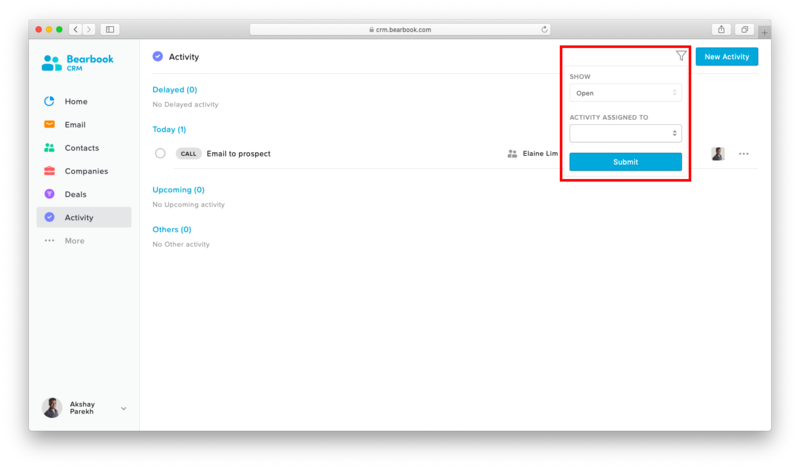 In Bearbook's activity feature, a user can see the All, Open and Completed activity with activity assignee name by setting the filter. In the resulting page, a user will see the activity as per the filer. 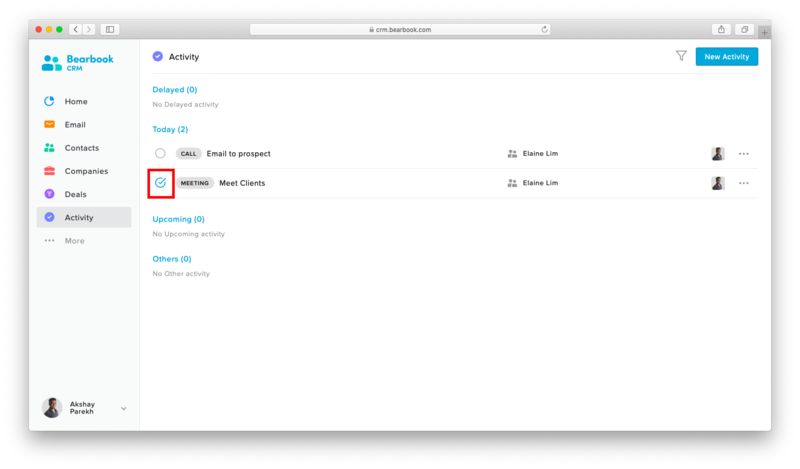 The ticked checkbox indicates completed activity and unticked checkbox indicates open activity.